Robert Mapplethorpe: the perfect medium examines the life, work and legacy of one of the most celebrated photographers of the 20th century. Mapplethorpe’s photographs are exquisite formal studies that engage with the concept (and construction) of identity. Join Isobel Parker Philip, the Gallery’s curator of photography and coordinating curator of the exhibition, as she takes an in-depth look at Mapplethorpe’s unique artistic vision and historical significance. 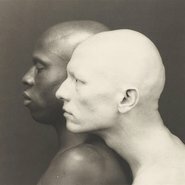 She will highlight Mapplethorpe’s coherent vision and his consistent treatment of his subjects, whether he was photographing a figure, a fetish or a flower.